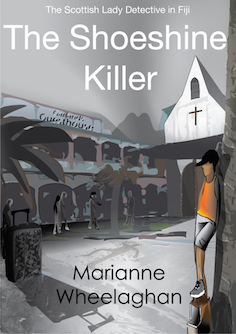 “This is not an easy read but it is a compelling one. The simple narrative style of a diary is exactly right. The most appalling deprivations and gruesome events are related in a matter‑of‑fact way that makes them even more horrific. *For each quarterly issue of the Historical Novels Review, the editors will select a small number of titles they feel exemplify the best in historical fiction. 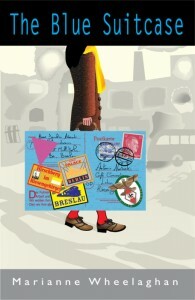 The Blue Suitcase was an editor’s choice in the May 2011 quarterly review. 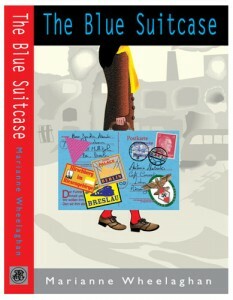 The BESTSELLING The Blue Suitcase is the first in a series of three novels which tell the story of three generations of the one family and is inspired by real events. Book one (The Blue Suitcase) is based on Marianne Wheelaghan’s mother’s extraordinary early life and influenced by diary extracts and letters she found after her mother’s death. The novel starts in 1932 and tells the harrowing story of a young Christian German girl, Antonia, growing up in Nazi Germany, surviving against all odds. Book two, The Brown Paper Parcel, due out in 2016, is the story of what happens to Antonia (and her family) when she arrives in Scotland and is set in the 1950s. Book Three (due out in 2017) is the final part to the trilogy and set in Scotland in the 1970s. Click here to buy your copy from Amazon or …. Or call in at your local bookshop. If they don’t have a copy in stock, ask them to order it for you. Or go to Pilrig Press to get your copy post and packaging free. “…The reader is drawn into a world not often portrayed in fiction—that of the German civilian during Hitler’s reign. Antonia tells her story through her diary. At twelve she’s self‑absorbed and unaware of the political upheaval. By the end of her journey she’s an adult who has somehow survived the most harrowing of experiences and emerged a strong and resourceful woman. Antonia shows how the German population gradually came to understand what a monster Hitler was but was helpless in the face of the Gestapo and SS. The devastation the British bombings caused to the civilian population is graphically depicted. Having survived the Nazis and the war, Antonia then has to face the barbarity of the Russian troops. When Silesia becomes part of Poland, Antonia and the remainder of her family are displaced. This is not an easy read but it is a compelling one. The simple narrative style of a diary is exactly right. The most appalling deprivations and gruesome events are related in a matter‑of‑fact way that makes them even more horrific. My mother very sadly died a few years ago. Shortly after her death, I was helping my dad sort out her personal things when we discovered an old, small scuffed, blue suitcase full of her letters, diary extracts, photos, old postcards and faded documents, written in German, which was my mother’s first language. We were totally taken aback. You see, although my mother was from Germany, she never spoke German at home. And she never, ever, talked about her family or life before coming to Scotland after the end of WW2. In fact, you could say my mother’s early life was a mystery – we weren’t even sure where she was from in Germany. As soon as Dad, who was Scottish, saw the documents he asked me to translate them – I’d studied German so it was not as mad as it sounds. But I was uncomfortable with the whole translating thing. My mum had been a very private person. My reading her stuff seemed a terrible intrusion of her privacy. But Dad wouldn’t give up. He missed mum terribly and believed knowing what was written in the letters and documents would bring her closer to him. I resisted doing what he asked – until I saw the photo below and then I change my mind. My mum is the young smiley girl at the front of the photo, next to the older man – I recognised her immediately. The other people in the photo are her family, my family! It was not seeing them that made me change my mind, though (who knew I had so many aunts and uncles!). It was, rather, seeing the picture of Hitler on the wall behind them – if you look carefully, you can see it above my grandfather’s head. I was totally shocked at the sight of it. My mum was a good, kind, thoughtful person and although I didn’t know her family, I couldn’t believe they were not also good people. BUT what were they doing with a picture of one of then most evil men in history on their living room wall? I started translating the documents in order to find out he answer to that question. The more I translated, the more shocked I was by what I discovered, and all the more determined to find out more. I also went to the library to research history of Germany at this time (1932 – 1947), and in particular the region of Silesia where Mum lived. When I finished I was both astounded and horrified by what I had read about my mother’s family and felt compelled to share my findings with others. At first I thought I would write a biography, but I felt uncomfortable doing that: firstly, some documents are so faint they are illegible, and some appear to be missing. Secondly, I struggled to write about my mm. It was simply too personal. Then I had an epiphany: I would create a fictional family, inspired by Mum’s true family write about them. Much of what happened to my fictional family happened to my real family, but some stuff didn’t, although it could have – certainly, everything that happened in the novel is based on true historic fact: if didn’t happen to my family, it happened to someone else’s family. And that’s how The Blue Suitcase came to be: it’s the undertold story of life for an ordinary Christian German girl growing up in Nazi Germany and surviving against all odds. Why did I feel so compelled to write this story? I wanted to right a wrong: when I was young there was an unspoken belief that all Germans were “baddies” and Hitler’s “willing executioners”. And I am ashamed to say, I remember feeling embarrassed at times because my mother was German. 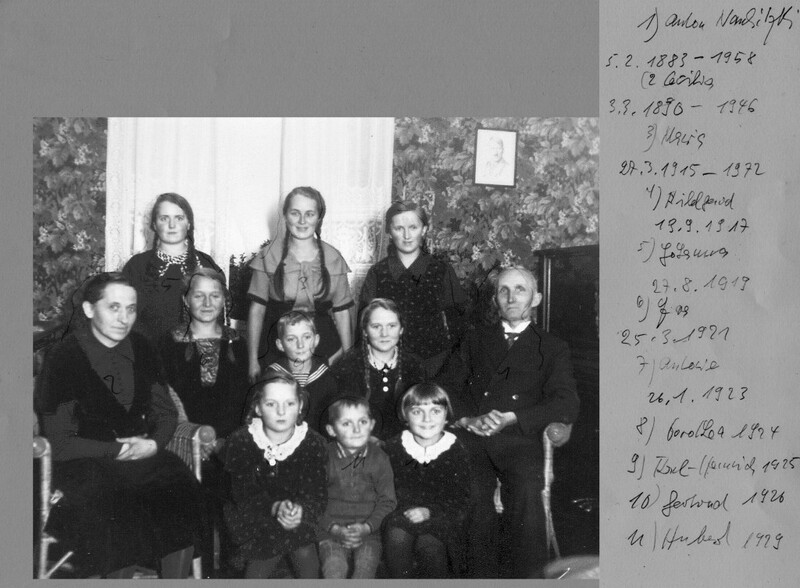 Now I know that not only were many ordinary Germans also victims of Hitler’s terrible regime, but that my mother was a refugee, and like millions of other Silesian German refugees, forcibly expelled from her home at the end of WW2. It seemed to me wholly unjust that the suffering of my mother and my aunt, and so many other aunts and uncles and mothers and fathers like them (on all sides), should go unacknowledged. 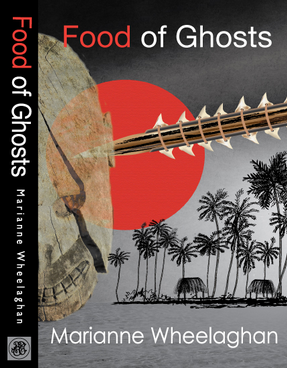 A fascinating story and one that has gone on my ‘to read’ list. Great cover, too. My current novel is ‘sort of’ horror, but reality is so much more horrific. Hi J.D. Thanks for this. I agree, real life can be way much scarier than fiction! Good luck with the novel! Loved the book which we read at Stockbridge Library. I bought a couple of copies from you and have now chosen this book for our book group to read. We are having our meeting on 12th March and I would love a list of discussion questions. Is this something you have already? I will be choosing this book for my other book group too. It is one of these books that sticks with you and the story of your own discoveries and your mother’s live in Leith added great depth. Last October I stayed with my mom in your B&B. I read the articles about your book in the breakfast room and I became fascinated by it. At the end of our stay my mom gave me a signed copy of your book. I liked your writing style. It was easy to read for a non-native English speaking person. What your mother and her family have been through was awful. I was amazed by your mother’s courage and perseverance. Thank you for sharing this story. I have read a number of books about the war but so far this was the first story I read of German civilians during the war. It has given me a different perspective on the war.